The big news this week at Backstage is the reopening of The Esplanade to 2-way vehicular traffic on Thursday, September 1st., as confirmed today by the construction management team. Once the road is open to 2-way car traffic, a temporary sidewalk condition will be in place on the south side of The Esplanade. This will be replaced by the permanent sidewalk and landscaping in the coming weeks. As well, this week will see the completion limestone installation on the northeast face of the podium, along “Green P” driveway. The work should be completed Tuesday, August 30th. The first climber (raised work platform) should be removed by end of day today, August 29, and the second will be removed soon thereafter. On the tower exterior crews have reached the 25th floor with porcelain tile cladding on the west side and will be heading into the “30s” this week. 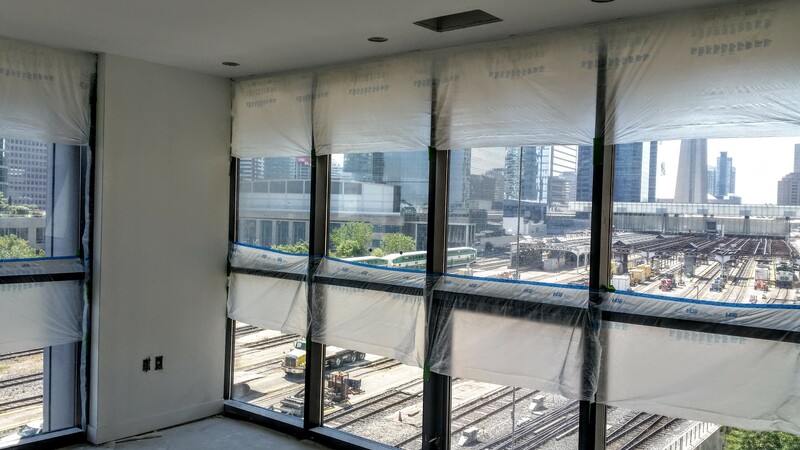 On the east side of the tower, bracing and insulation is completed up to the 27th floor, in preparation for the installation of porcelain tile. 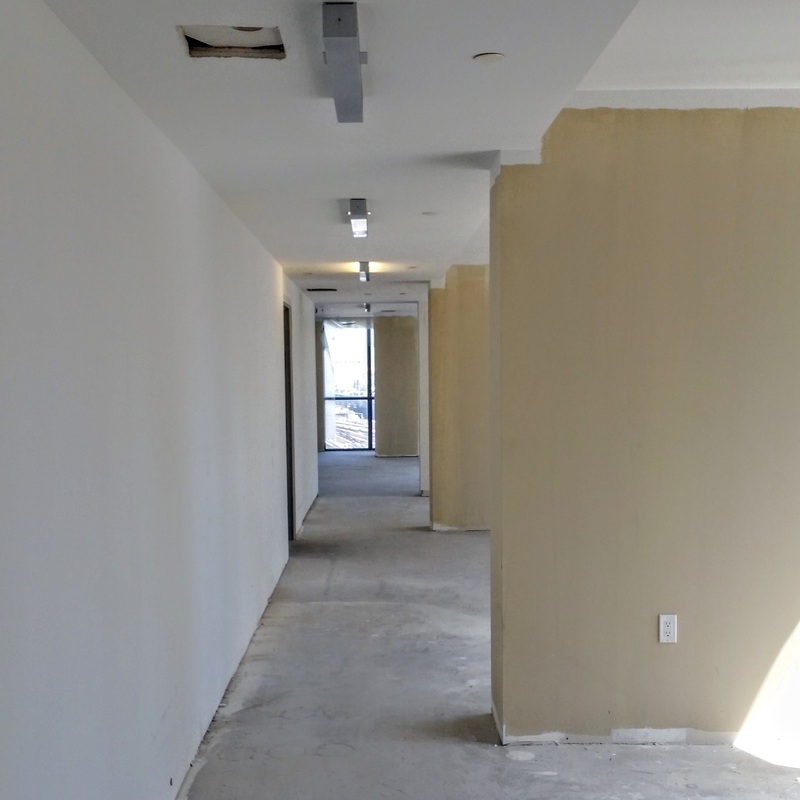 Inside the building, completion of the amenity spaces is progressing with the installation of wall panels and flooring. Suite inspections continue for the remaining unoccupied units as these are readied for move-ins. The Esplanade set to reopen September 1 to 2-way traffic at Yonge Street. Preparation for reopening The Esplanade for 2-way traffic. Northeast podium limestone cladding installation. One climber (raised work platform) on the northeast podium set to be removed. Northeast podium limestone cladding installation scheduled to be completed. Second climber (raised work platform) scheduled to be removed from the northeast podium. Raised work platform removal continues. 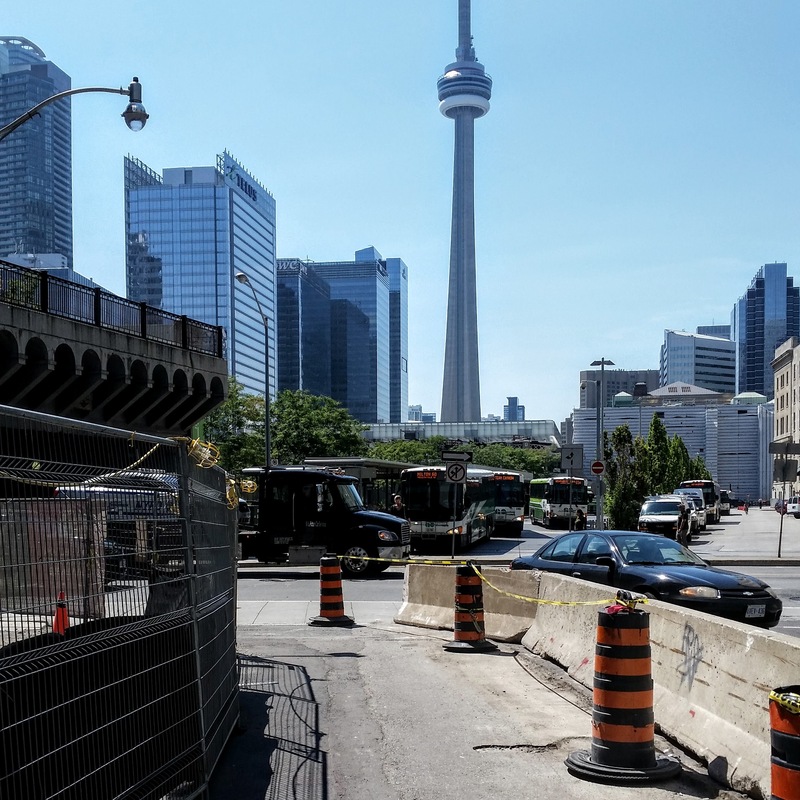 Vehicular roadway reopening for 2-way traffic from Yonge to Scott Street. Looking west from the 7th floor amenity space. Limited interior and exterior work if necessary. Freshly painted drywall, interior amenity space. Completed tiling in amenity (gym) showers.